As someone who doesn't typically enjoy overly sweet fragrances (unless within a bath and body product), I have been known to purchase male colognes and aftershaves; namely of the Tom Ford or Dolce & Gabanna variety to ensure that my signature scents are neither sickly sweet, powdery or overly floral. Now don't get me wrong fragrances such as Thierry Mugler Alien Eau de Parfum, Narciso Eau de Parfum and the newly launched Marc Jacobs Decadence Eau de Parfum, are aimed at females and satisfy my need for a long wearing fragrance with plenty of depth. However both lack the peppery or leather notes that I so often crave. I have been known to add a spritz of The Library of Fragrance Black Pepper to any typical girlie scent to somewhat toughen it up. As great and of course custom as that may be, it has nothing on a strong, truly masculine fragrance. It is here that I want to point out that I don't wear male scent offerings for nostalgic value, nor have I tinkered with my ex boyfriend's collection; rather deeper and somewhat aquatic and spicy scents are what appeal to me most, something I don't always feel the female scent market gets right. So what are my favourites? Tom Ford Private Blend Tobacco Vanille Eau De Parfum which is technically a unisex offering with strong, rich notes of tobacco, vanilla and cocoa. It is an intense explosion and not for the faint hearted. I read that it was created with Cuban cigars in mind and old school gentlemen clubs - having never experience either I can't possibly comment but it is a personal favourite, alongside Tom Ford Private Blend Mandarino di Amalfi Eau de Parfum which is a fresh, aquatic scent that forgive me for saying smells like a well groomed man. As much as I adore Tom Ford Private Blend fragrances at over £100 a bottle, if used daily I'd most likely never eat or make rent again so I also own a bottle of Giorgio Armani Acqua di Gio Homme - a fresh, clean, crisp masculine scent, along with Dolce & Gabbana The One Pour Homme. The later is rich, woody and somewhat spicy that lingers on the skin and in my personal opinion takes on a whole different form when worn on the female body. I know I am not the only one who prefers more masculine scents and as such I am truly interested to find out why others avoid sweeter female fragrances and what your personal favourites are too! I SO wish these weren't so expensive!! I too love Tom Ford Private Blend Tobacco Vanille Eau De Parfum and would wear it if I could. Tobacco Vanille is one of my favourites, and as my brother owns it, I secretly spritz it when he doesn't realise :) I also love Diptyque's Eau Duelle, which has pink pepper, black tea and frankincense. 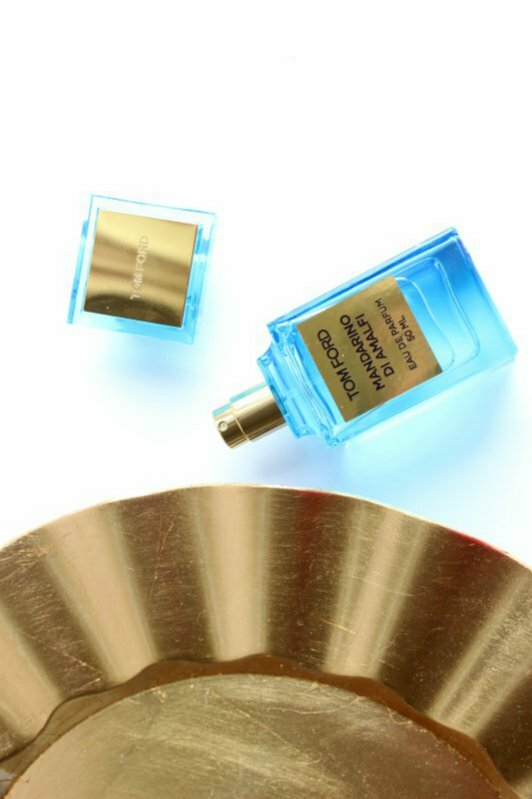 Another one I like a lot is Giorgio Armani Pour Homme, which is quite citrussy but also has a touch of sandalwood. It was one of my days favourites so has a huge sentimental value to me. I use male fragrances too and I really like Chrome by Azzaro as an everyday scent.